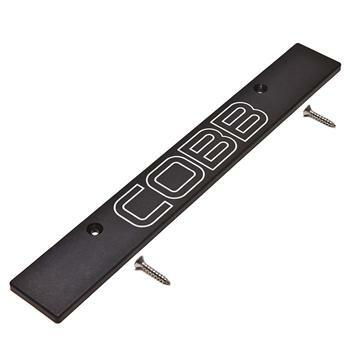 COBB Tuning is pleased to announce the immediate availability of the COBB License Plate Delete Kit for Subaru vehicles. The COBB License Plate Delete keeps the front of your Subaru looking clean and sleek, while letting others know that you choose the highest quality performance parts in the industry. This licens plate delete is CNC machined from 6061 aluminum billet bar stock. It is then black hard anodized for a sleek and durable finish that complements any color scheme. The license plate delete kit is finished with the COBB logo CNC machined into the face and includes countersunk stainless steel hardware to give the kit a slim profile and refined appearance.